SATURDAY, Jan. 27, 2018 (HealthDay News) — With terminal illness comes newfound, and profound, wisdom, researchers report. They uncovered this silver lining of terminal illness as people in their final months tried to strike a balance between accepting their fate and making the most of the time they had left. “The end of life presents a unique perspective,” explained senior study author Dr. Dilip Jeste, senior associate dean at the University of California, San Diego’s Center of Healthy Aging. The study, funded in part by the U.S. National Institutes of Health and the American Cancer Society, involved 21 men and women between the ages of 58 and 97 who were in the final six months of their lives and receiving hospice care. About half of the patients were dying of cancer. The researchers asked these people opened-ended questions about wisdom, such as “How do you define wisdom?” and “What experiences have influenced your level of wisdom?” The patients were also asked if their illness had altered their understanding of wisdom. Each of the interviews was recorded, enabling the researchers to analyze and interpret the responses. The participants ranked traits associated with wisdom. The most important quality listed was having prosocial behaviors, followed by demonstrating social decision-making, emotional regulation, openness to new experiences, awareness of uncertainty, spirituality and self-reflection, as well as having a sense of humor and being tolerant. One common experience among the terminally ill was their desire to find peace or acceptance as their health declined and they lost their ability to function normally. Montross-Thomas is assistant adjunct professor in UCSD’s department of family medicine and public health. The patients also found that living with a fatal disease stimulated growth, leading to more determination, gratitude and optimism. The researchers noted this path to increased wisdom ebbed and flowed as the patients struggled to find balance, peace and happiness at the end of their lives. 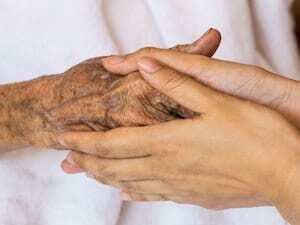 The U.S. National Institute on Aging has more about the end of life.